Social media has been a huge part of our world for many years now and for a lot of us it’s our main form of communication with friends, family, businesses and colleagues. One of the biggest social media platforms in the world is Twitter, renowned for getting your name out there and allowing you to connect with thousands of people on a daily basis, and yet many of us still have reservations about this platform. 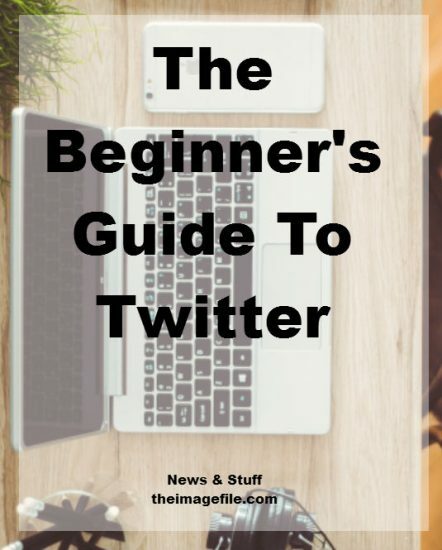 Today let’s delve into Twitter and explore how you can set up an account, gain engaged followers, brand your profile, create a strategy that works for you as well as some handy tools and resources to help you get the most out of Twitter. Sign Up – If you have never laid eyes on Twitter then you can sign up here. You’ll be asked to provide an email and password as well as choose a select business or personal username. This is called your “Twitter handle” such as @theimagefile. Customise Your Profile – You can customise your profile in many ways. Start off by going to “Profile and Settings” where you can customise your theme colours, background, contact email, privacy settings etc. Once you’ve done that you can click on your profile and then the “edit profile” button where you can add in your bio, URL, location and theme colour. This is also where you can add your profile picture (400×400 pixels) and your cover photo (1500×500). Photos can be either a JPG, GIF or PNG but not animated GIFs. Tip: You can “pin” a Tweet to the top of your profile so that it’s the first thing people see when they visit your page. You might want to do this for a variety of reasons; for example a special offer or discount, a key message (e.g. if you’re going to be away on holiday), or a link to a special service/product you are promoting. Find the pin you want to promote and click on the icon that shows three little dots. Then click “pin”. P.S. Sometimes some of your Tweet fonts appear bigger than others. This is because that Tweet has received more engagement than others. Here are some tips for building an engaged following and creating an organic Twitter community. Many of the top Twitter users implement these strategies with amazing results. Follow Interesting People – The first thing to do is find people who share interesting content that you might want to share yourself. For example if you were a wedding photographer you might want to start following all the major wedding blogs, publications, brands, media, and other wedding photographers in your niche. Connect With Key People – Following people you admire is a great way to build a relationship for future collaborations. If you’re using their products, mention them in your updates, or connect with them regularly by engaging with their content. Give Consistent Content – People usually follow you on Twitter if you are within their niche or if you provide content they’re interested in. Therefore, it’s important you provide consistent content which is in line with your message, brand and style. For example if you take beautiful vintage baby pictures then share classical inspirations, traditional props and lovely retro outfits. Interact – Don’t just Tweet to your followers, engage with them too. Join in on the conversation, reply to their messages, thank them for their mentions and ask them questions. The best way to be successful is to know your clientele. Use Images – This may seem an obvious statement, especially to photographers. However using a variety of media in your posts makes them more engaging. Mix it up with text, links, photos and videos. Use Hashtags – Hashtags are a way of people finding specific content. For example if I was looking for an event photographer, I might search for #eventphotography, #corporateevents etc. If you’re stuck for hashtag ideas then check out Hashtagify.me which allows you to enter an appropriate hashtag to discover other related tags. The 80/20 Rule – In theory you should share other people’s content 80% of the time and your own content the other 20%. Ask For Interaction – It may seem a little odd but actually asking people to engage with your content works. Post At Optimal Times – Generally you should post about 4-6 times a day on Twitter as your Tweets can get lost very quickly in the ever-filling feeds. Equally, posting Tweets between 9-3pm Monday to Thursday is a good time to aim for as this is when most people browse through Twitter. Be Positive and Yourself – People respond better to positive, witty and humorous content as we feel compelled to share it. What is your story? Twitter allows you to share your brand’s story so decide what sort of message you want to send. This will help you tailor your Tweets and make you more consistent. If you craft a strong brand story then you can share information, images and resources all related to that brand message. What are your competitors doing? Find out how your key competitors use Twitter, especially those you wish to emulate. Hootsuite and Buffer – Both of these programmes are great scheduling tools that allow you to queue tweets, monitor trending hashtags, analyse your tweets performance and find new relevant stories to share. I have used both of these programmes and I think they are good for different reasons. Hootsuite is available for free and is fairly easy to set up and use, however I have found that if you schedule a tweet that includes an image, then the image for some reason does not always display when it is finally posted. On the other hand Buffer is a great system that sets all your scheduled social media out neatly in a calendar so that you can see exactly when everything is going out. However you do have to pay for it and it is slightly more complicated to set up. My Top Tweet – Check out which tweets are doing well. Hashtagify.me – This is a really handy tool when you need a little inspiration. You can easily search a large number of Twitter hashtags to find the best ones for you. I hope this helps you grow and build your business on Twitter. Do you use Twitter for business? How does Twitter help you grow your following?